2012 WDC National Championship - Grove City, OH - Competitor with a 28 month old BHOT dog - youngest dog in the competition! 2012 AWDF National Championship - Indianapolis, IN - Competitor with a 29 month old BHOT dog (youngest dog in the competition), highest scoring German Shepherd on the track with a 99V score. 2012 USCA GSD National Championship - Nashville, TN - Competitor with a 2 year old BHOT dog. 2013 AWDF National Championship - Lucas, KY - IPO3 with a 3 year old BHOT dog. 2014 WUSV World Team Qualification Trial - Fayetteville, AR with a Dasko von der Rennbahn, IPO3, FH. 2014 New England Regional Championship - Buffalo, NY- with Ena, Placed 7/29, High Scoring Female. 2014 USCA GSD National Championship - Seville, OH- with 2 BHOT dogs. Dasko went top 10 and placed 8th out of 73 dogs. 2015 WDC National Championship Competitor - Buffalo, NY, With Dasko finishing 8/52 dogs, and qualifying for the WORLD TEAM Qualifier. 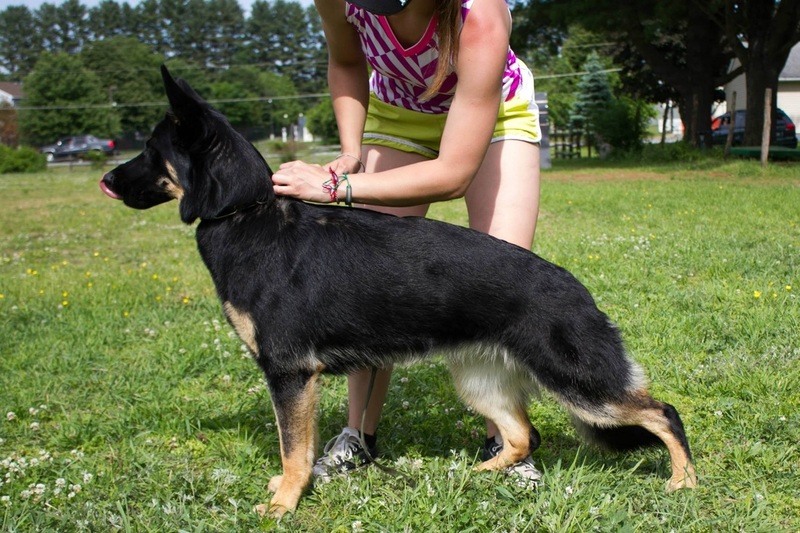 2015 WDC National Championship Competitor - Buffalo, NY with Ena who finished 15th out of 52 dogs. 2015 WUSV World Team Qualification Trial - Buffalo, NY with Dasko von der Rennbahn, IPO3, FH. 2015 WUSV World Team Member USA-06 - Lahti, Finland with Dasko von der Rennbahn IPO3, FH. 2016 USCA Working Dog Championship - Chelsea, Michigan - Falco von der Rennbahn, IPO 3 - 23rd out of 54 overall, 13th place HOT. 2016 USCA Working Dog Championship - Chelsea, Michigan - Dasko von der Rennbahn, IPO 3, FH - 4th place overall (4/54), 2nd place HOT, Highest scoring BHOT, 3rd place GSD. Nancy is working her dog Gusto in both IGP and AKC. She has taken Gus from 8 week old puppy to IPO3, KKL, and has a V show rating on him. She has also been involved in AKC obedience since 1985. She has put several CD’s, CDX’s and a UD on her dogs, as well as several Canadian titles and two breed Champions, all owner handled. She is also also a canine good citizen evaluator. 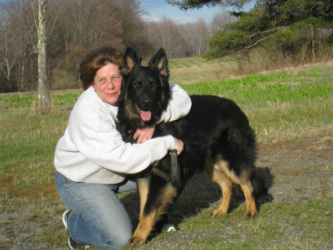 Nancy began in the sport of Schutzhund in 1995 and has put titles on all her dogs past and present. Al has titled three dogs in both AKC and Schutzhund, he is a member of USCA’s Schutzhund 3 Club and has put FH’s and AKC TD’s on two of his dogs. His last competition male was bred by him (BHOT), Condor von Weberhaus SchH3, FH, CDX. Al is a talented handler in both venues and is an asset to the club as a talented helper as well. Al is currently having a lot of fun working a very nice Charli Kampftrieb daughter named Fena. Fena is a HOT dog with her IPO1. 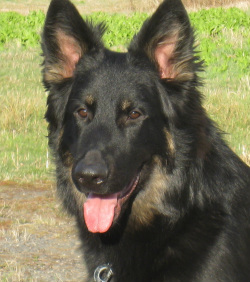 Kevin is an experienced helper who has trained his HOT dogs Dokken to IPO 3 and Enzo to the IPO3, FH level. Kevin also competed in his first national championship at the 2017 WDC Championship in Buffalo, NY with his dog Enzo.